You don’t have to wait for a holiday or summer sale to get good deals on Steam, because the world’s biggest platform for digital games holds smaller sales every week. Some of them even give deals that are just as good as those on Steam’s major sales, except that they’re only for a limited number of titles. So if you need a fix of a good game or two this week but you’re on a budget and can no longer wait for the next Steam Sale, check out these three Steam games. Hopefully you’d find them to your liking. Serious Sam 3 – the popular and paradoxically unserious shooter is back and better than ever, especially in the graphics department. The game takes place in the events before the first Serious Sam game, with our eponymous hero being sent to Egypt for the first time to confront Mental, an ancient extraterrestrial evil who serves as the game’s big bad. Get this game, which has much-improved graphics, new arsenal, and a tried-and-tested gameplay for only two dollars this week. Conception II – originally a Nintendo 3DS game, this JRPG is about a school whose students are tasked to protect earth from a mysterious alien threat. And to do so, the player must interact with his female classmates in order to make armies of “Children” (it’s not what you think) who will protect the Earth. You know, “typical” JRPG fare. For ten dollars, you get to play this “family-friendly” game. 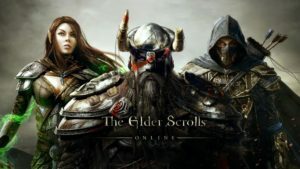 The Elder Scrolls Online – on the other hand, if shooters aren’t your thing, and instead has been looking for an MMORPG that you can sink your teeth and time into, then you should buy The Elder Scrolls Online. If you’re a fan of The Elder Scrolls series, MMOs, or both, then this one’s definitely a must try, especially if you’ve always wanted an Elder Scrolls MMO, an open-world Tamriel that is shared by thousands of adventurers. Get either the Tamriel Unlimited or the Elder Scrolls Online Gold Edition for twenty dollars; they’re definitely worth it, especially now that the game has done away with subscription fees. So, what are you waiting for? Buy these Steam games while they’re hot, and while they’re on sale.